Hello Divas and welcome to our continued walk through the book and bible study, Unglued by Lysa Terkeurst. In chapter 10, Lysa talks about negative inside chatter. When I read the title of the chapter, I knew this chapter was for me. I am the QUEEN of MEAN in my head. I talk to myself in ways that I would never allow someone else to talk to me. 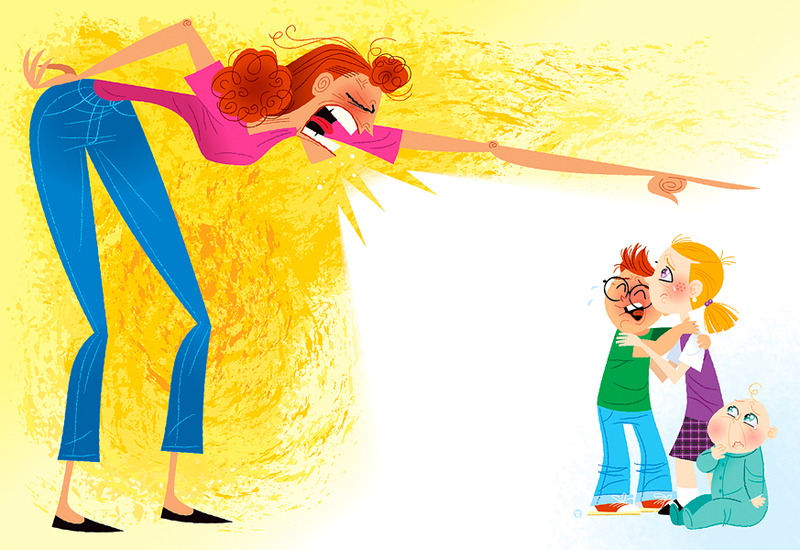 My inner mean-girl is a bully! It only takes an honest mistake, a quick comparison, or some criticism from someone else to push me over into a toxic thought wasteland. A toxic thought wasteland is not a good place to be because it is so full of negativity and lies, there is no room for truth. I don’t know about y’all but when I get negative, an “unglued moment” is most likely on the horizon. It is hard for me to see the good side of ANY situation when my inner mean girl starts yakking at me. In the book, Lysa suggested that negative thoughts actually shift our endocrine system to focus on protection which limits our ability to think with wisdom or to develop healthy thoughts. Wow. Do not be anxious about anything, but in every situation, by prayer and petition, with thanksgiving, present your requests to God. And the peace of God, which transcends all understanding,will guard your hearts and your minds in Christ Jesus. Finally, brothers and sisters, whatever is true, whatever is noble, whatever is right, whatever is pure, whatever is lovely, whatever is admirable—if anything is excellent or praiseworthy—think about such things. Switching my thoughts to something pure and lovely is hard for me in the moment. 1. Did someone actually say this or am I making assumptions about that they are thinking? OOOH I need this. I will read body language or a look and make it into an entire soap opera drama in my mind. 2. Am I actively immersing myself in truth? Here is that truth word again! Often when I get negative, I also start awfullizing. “This will NEVER get any better”. I am going to be stuck on this job FOREVER”. Test taking skills teach us, nothing is always, forever or NEVER. 3. Are there situations or relationships that feed my insecurities? You just have to handle some folks with a long handle spoon. It is just too exhausting to be their friend. Being intentional about our thoughts helps us think clearly and be free enough to pour out love on other people. Quieting negative inside chatter can also allow us the freedom to obey God’s call on our lives. Ohhh weee. Make sure to have chapters 9 & 10 read for our bible study discussion on this Saturday! Hello Divas! We have been really learning some things about ourselves with this Unglued study haven’t we? In chapter nine, Lysa talks about the elephant in the room…jealousy. Anywho, during the planning, I began to feel a pang of frustration. One of the other instructors helping with the event has her own fitness company. As I tried to complete the work I did not want to do at my regular job, my mind started to turn cart wheels. “Must be nice to do what you love ALL the time AND make tons of money”. “Why can’t I do what I love AND make money?” Then I really took a dive into the sea of green. I began to reflect on closing my party business and the dealing with the debt from doing what I was passionate about. Then, just looking at her email address made me very depressed. The more I compared myself to the other instructor, the more lethargic and empty I felt. Empty women come unglued. 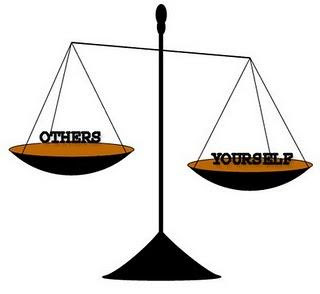 Do you EVER compare your self to others? 1. Focus on your own responsibilities and actions. Galatians 6:4-5 (NIV) Each one should test their own actions. Then they can take pride in themselves alone without comparing themselves to someone else, for each one should carry their own load. 2. Carry some love to others. Find a way to be a blessing to someone else. When you change your focus away from yourself, all of a sudden your self-image improves. You get to experience the feeling of satisfaction that only comes when you’re a blessing to someone else. 3. Have an attitude of gratitude. An attitude of gratitude in all things helps bring joy to our lives. How can you be a woman full of joy instead of an Empty woman this week? If you have ever been to one of our classes, you know our class is anything but QUIET. Women are hootin’ and hollerin’ and our music blares for the majority of class with the exception of the cool down. The older I get, the more I realize I need QUIET to think clearly. The music in class is so loud and things are moving so quickly, an hour has gone by before you know it and whatever was bothering you, didn’t even cross your mind. Perhaps it is just me, but the noisiness of class seems to QUIET the clamoring issues of my day. Although loudness can QUIET life drama for a moment, we often need to get QUIET so that we can see what God is doing and then do what HEwants us to do. We get so wound up from all the craziness of the day, it is hard to QUIET our minds. A little power salsa, the new crazy merengue and a song full of squats are just what the doctor ordered to help us relax so we can really get QUIET. Most often when we think about our ROOTS, we think of our family or where we are from. Now when I think about ROOTS, it is time to do something about these wiry gray hairs! Sometimes we think of relationships in terms of what they are ROOTed in: love, respect, service, or familiarity. There is an old quote that says: “Storms make oaks take ROOTS“. Wow, how true. It really is the storms in our lives that push us to take ROOT and learn to yield control of our lives to God. As with the victims of Hurricane Sandy, sometimes our ROOTS are physically and emotionally torn apart. From the prayers put in our prayer box each week, many Divas are going through all kinds of storms (awesome things like pregnancy to very challenging things like cancer and death). With all that is going on, one would think it would be easier NOT to try to fit class into your schedule. However, as WE dance together, we encourage each other. After class we hug each other and wish each other well and in doing so, we add a little fertilizer to each Diva’s ROOTS. We leave refreshed and with a reminder that our God is not Dead but surely alive living on the inside of us roaring like a Lion! Talk about DEEP ROOTS! Join us tomorrow Saturday November 3, 2012 8:30am for our Unglued Bible Study! Hello Divas! It is hard to believe that we are already on Chapter 8 of the book Unglued by Lysa Terkeurst. Prior to chapter eight, we have worked on identifying our “unglued” tendencies and learning how to properly process our emotions. Chapter eight deals with the “glue” that holds identifying and properly processing together—PERSPECTIVE. I found a definition of perspective that made my jaw drop: The ability to perceive things in their actual interrelations or comparative importance—WOW. In the book, Lysa shared a story about how her daughters used to argue over paper placements when they were out to dinner. We all know how this goes, some one spills water or writes on the other’s placement and bam…whines, screams, and drama over a PAPER PLACEMAT! Seriously??? Cough, gag, ok …that example was VERY close to home for me. But really, children tend to come unglued about very small things. Have you ever watched a child melt over not getting something they really wanted or over another child not sharing? What about us? Do the things that cause us to come unglued DAILY really matter in the grand scheme of things? Ok, lets say DO matter. Can we find ANYTHING to be thankful for and then be gentle in our response? At the beginning of chapter eight, Lysa stated: “Perspective calls forth a gentleness I can’t seem to find any other way”. This is so true. When you mentally grasp that things could really be MUCH worse and you have SO MUCH TO BE THANKFUL for, you display a more gentle nature. Have you ever spoken to someone right when they return from a mission trip? They get it! Perhaps we need to seek out some serving activities like: serving in a soup kitchen, going on a mission trip, or helping a family in need to help us gain some perspective. The Key verse for the entire chapter was Philippians 4:4-5: Rejoice in the Lord always. I will say it again: Rejoice! 5 Let your gentleness be evident to all. The Lord is near. Find some reason to be thankful regardless of what is going on. Smile and don’t miss the chance to rejoice! Gain some perspective over your situation then quiet and settle your mind so that you can respond to EVERYONE (not just the people who are nice to you) with gentleness (a sweet temper that is the result of joy in the LORD). I think in all the times I have read Philippians 4:5, I totally missed the “The Lord is near” part. When we are able to gain some godly perspective, we realize that God IS near. In fact, He has been here all the time! He has been making a way out of no way for eons. Have chapters 7 & 8 read for our discussion on Saturday! The VOICE is one to those things we rarely think about. Our VOICE is one of the ways we use to communicate, to speak our mind, to make our requests known. For all of the divas from the south out there, it is our VOICE with our southern drawl that let’s everyone know that we are country girls! I have found that our fitness classes have provided a VOICE for many women. Ladies come to class with the weight of the world and they squat, punch, and salsa all over their problems. If only for a moment, they are able to step away from “the drama”. Some people have one of “those VOICES”; the kind that you recognize without seeing them. Yet others have VOICEs so soft that we have to listen really intently to hear them. For me, God’s VOICE is often like that. When my life gets busy and the to-do list gets longer, I find it hard to hear Him. In class, we always cool down with a song of worship. One of my favorites is Laura Cooksey’s song, REST. Based on Matthew 11:28, the song reminds us to go to God with our burdens. Last night when we cooled down to REST, it was amazing to watch you all worship our great GOD. I glanced over and saw one lady with her arms stretched to the Lord, her eyes were closed and her head was tilted back… right then I felt God’s VOICE remind me that HE is in control. Hello Divas and welcome to our discussion on Chapter 7 of the book Unglued by Lysa Terkeurst. In this chapter entitled, “I need a Procedure Manual”, we learn a policy, a mechanism, or a process to follow EVERY TIME we feel ourselves coming unglued. In the book, Lysa refers us to 2 Chronicles 20 to observe a man named Jehoshaphat who had an “Unglued Procedure Manual” . 2 Chronicles 20:1-2 (NKJV)…the people of Moab with the people of Ammon, and others with them besides the Ammonites, came to battle against Jehoshaphat. Then some came and told Jehoshaphat, saying, “A great multitude is coming against you from beyond the sea”…. Upon hearing that a huge army was coming to wage war against him, Jehoshaphat, like any of us given his situation, just might come Unglued. Jehoshaphat felt alarmed, then he resolved to seek guidance from God. In the book, Lysa challenges us to also be “resolved to remember who we are”. Jehoshaphat realized that he was not equipped to fight the battle. So, he kept his eyes on God. God told Jehoshaphat to keep his head up, go on do the hard thing and know that HE would be with him all the way. Jehoshaphat thanked God for what He did and for what He was going to do. Jehoshaphat found peace by honoring God with his actions and reactions. The following statement by Lysa made me stop in my tracks: “My reactions determine my reach”. 1. Remember who I am. 3. Allow God to fight the battle. 4. Have an attitude of gratitude. How can you use Jehoshaphat’s example to personalize your own Procedure Manual? Each week, I get the grand opportunity to step out onto my physical and spiritual platform of a stage and lead a sea of beautiful women each week in class. I LOOK out into each of your eyes and just melt. When the music is on, you sing along and move with out a care in the world. When new Divas come to class, I hear some of you telling the newbies… “Just LOOK at her (meaning me) and you will be fine”. What an amazing place God has placed me! It is fun to LOOK up at the beginning of class and see y’all hugging and laughing. I think the best part of it all is at the beginning of class when we get a neighbor and LOOK her in the eye and say: “NO MATTER HOW HARD YOU TRY, YOU CANNOT LOOK LIKE ME”. There are NO comparisons in class, wish we could be like that in real life. God has designed each of us to LOOK differently. We all have something wonderful to give to the world. My favorite line from the movie Avatar is “I See You”. Sometimes we get so busy LOOKing that we don’t see. God sees you and He loves you. Don’t forget to wear PINK tomorrow for class! We will be dancing “princess style” in honor of Addison Simmons tomorrow! See the details HERE. Also don’t forget to come on out to bible study with us tomorrow… Unglued by Lysa Terkeurst! Life seems to happen quickly. Ladies RACE into class with only a few minutes to spare with the grimace of a long day on their faces. It is so refreshing to watch some of our Divas take a deep exhalation breath when they get in place and start dancing. Although our class is face paced, we are NOT in a RACE. We come together to sweat, to get a great work out and to get our “happy” by encouraging each other. We RACE outside of the four walls of the Kernersville Parks and Recreation Gym. When we come to class, it is time to refuel. More times than I can remember, I have come to class weary from my own life RACE and leave with a little more pep in my step. I just love our cool down song, REST by Laura Cooksey. The song just reminds us to take all the things that make us so tired on our RACE to the ONE who can handle EVERYTHING! Welcome to our continued discussion on our Unglued Bible Study written by Lysa Terkeurst. In chapter 4, we learned about the different ways we come unglued: we either explode or stuff. Chapter 5 is all about Exploders! Perhaps it is just me but I tend to come COMPLETELY UNGLUED with my family. As much as I love my girls and would take a bullet for them, those two can really push my buttons! The morning shuffle, homework, and picking up after themselves are our largest “mommy-comes-unglued” triggers. When I say Mommy-comes-unglued. I don’t mean, mommy gets a little upset. I mean Mommy Goes Kray-Kray! Of course once I do that, I feel HORRIBLE and shame myself about being a bad mother. Do ever explode and blame others and then later shame yourself? I just love how Lysa describes emotions and relationships as being like nailing Jell-O to the wall–complicated and messy. When things are complicated and messy it is hard to see God at work. When we get in an exploding mind frame, Lysa challenges us to get quiet so that we can see what God is doing and then do what HEwants us to do. 1 Peter 5:6-7 Humble yourselves, therefore, under God’s mighty hand, that he may lift you up in due time. Cast all your anxiety on him because he cares for you. When we get quiet, we realize that the person or people who are getting on our nerves are NOT the enemy. Satan is our enemy. 1Peter 5:10 And the God of all grace, who called you to his eternal glory in Christ, after you have suffered a little while, will himself restore you and make you strong, firm and steadfast. And that Divas is our promise. God can use our conflicts for our good. Getting quiet before we explode gives perspective, identifies the REAL enemy, and as Lysa put it “frees us from the pressure to make everything turn out rosy”. WOW! Thank you so much for allowing me the opportunity to learn about how to control my emotions YOUR way. Lord, stretch my mind and my feelings so I can embrace people who “dance on my happy” with grace. Remind me Oh Lord to get quiet and seek instructions from YOU BEFORE I explode. You never said this life would be without troubles. In fact, your Word says that WHEN troubles come they should be an opportunity for joy. Help me live out my God-created identity and be a light to the world. What can you say or do to remember to get quiet BEFORE you react this week? The Homework for next week is to read Chapter 6.